Below is a link to an ugly analyses of the Zimmerman/Martin trial. I have huge problems with it for the same reasons I posted about on July 2nd. What, exactly, are those problems of mine? Simple: the analyses is correct except in 1 critical detail: It appears from the analyses that who provoked the fight doesn’t matter. But it does. It does morally and legally. If you provoke the fight you must withdraw, not just be losing the fight. You must withdraw, or give up or something to show that you don’t want to fight any more. You can’t just provoke a fight and, when you start losing, shoot the guy and claim self-defense. If you do, every punk in the world would pick a fight and, when the pick on the wrong guy, claim self-defense. Sorry MR. Dan Abrams, it doesn’t work that way. 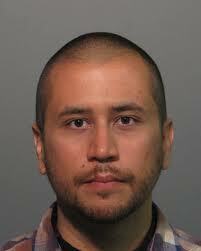 If Zimmerman withdrew or surrendered No Mas”or something then maybe he has a case. But I haven’t heard anyone testify that the tried to run or withdraw or surrender.